For many years Colt’s bread and butter has been the 1911 in all it’s variations, as well as the Colt AR15 and military M4. That said, they continue to release new models of this ever popular combat and competition pistol. Whatever you may think of the 1911 it’s still a fine pistol and continues to be very popular among many shooters. Colt just announced another competition version this time in 38 super. 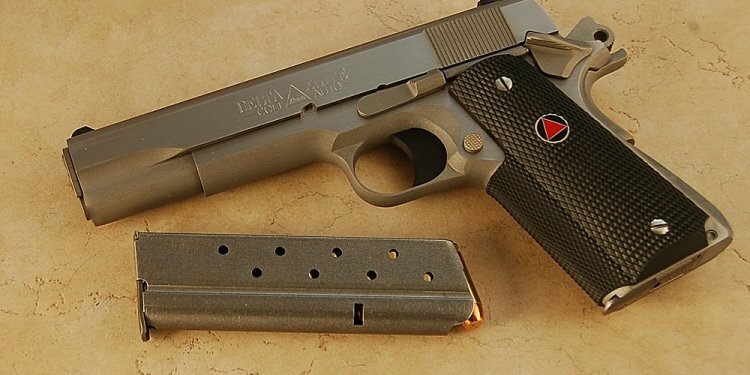 Personally, I’m happy to see Colt bring this pistol out in 38 Super. I’ve always enjoyed shooting the 38 Super especially with some of my hotter handloads. There are also some very good factory defense loads to be had. The Super has the power to be a good defensive caliber with very manageable recoil making follow up shots very fast. QC is now a non issue at Colt these days with some very well made pistols coming off the line. The last several Colt 1911 pistols I’ve shot have been well made and accurate. This is one I’d like to run through it’s paces. The MSRP is $949.00 with a street price closer to $875.00. I know some 1911 pistols out there that cost more and don’t measure up to this competition model. WEST HARTFORD, Conn. (October 28, 2016) – Fueling anticipation for what Colt considers to be a very exciting upcoming year, the legendary firearms manufacturer announces the release of a new model in it’s extremely well received Colt Competition Pistol™ line by adding the .38 Super chambering to the roster.